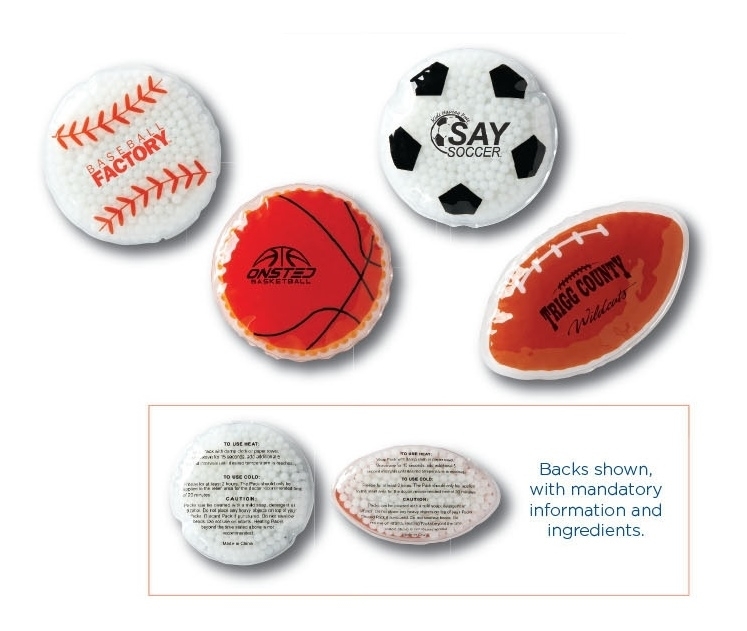 Our baseball shape reusable pliable, hot/cold gel pack delivers soothing relief for aches and pains. Chill in the refrigerator/freezer or warm up in the microwave. Instructions and ingredients included. Other sports ball shapes available: football, soccer and basketball.